Medicinal Media LLC, 9780997121308, 412pp. Two longtime lovers: spray paint artist, Chor Boogie, and yogini and performance artist, Bast. One shocking drug relapse--after more than a decade clean. Then the disheartening discovery: 90% of narcotics addicts relapse in the first year with standard treatment models. 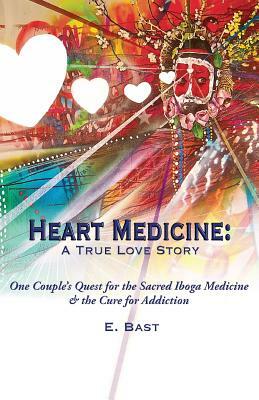 The lovers navigate the treacherous labyrinth of addiction and ultimately chose to pursue treatment with an obscure indigenous African sacred plant medicine called iboga, used since ancient times for shamanic initiation and spiritual healing, and proven to have powerful addiction breaking effects. It sounds too good to be true, but it's seems to be worth the try, considering the alternatives. This medicine is only available well beyond the borders of the United States. There is hope for healing, if they can both make it to the shaman in time. As their journey unfolds, it becomes clear that their relationship demands a detox as well. They are brought to a critical crossroads, facing deepening intimacy--or dissolution.